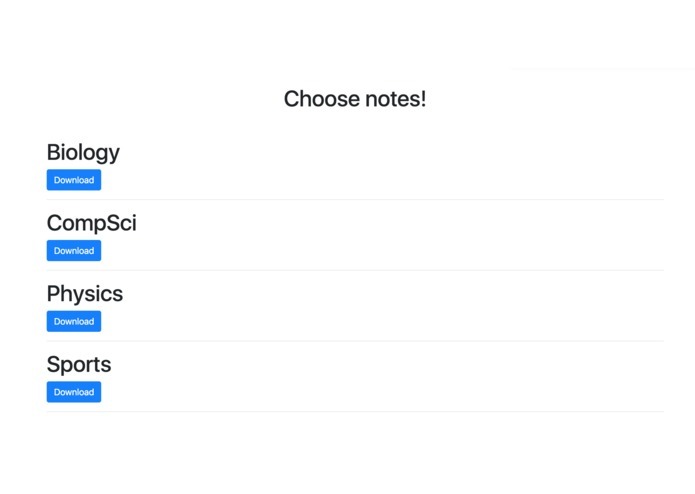 Where notes are uploaded, you can select one of the already existing courses or add a new one. Where the notes are stored, you can download markdown files, containing more detailed information. Home Page, where we introduce you to our idea. Honestly, we have all been in that spot, where you don't know where to start from when preparing for an exam or a test. And we would all love to have some help or to know how far ahead are the other students. 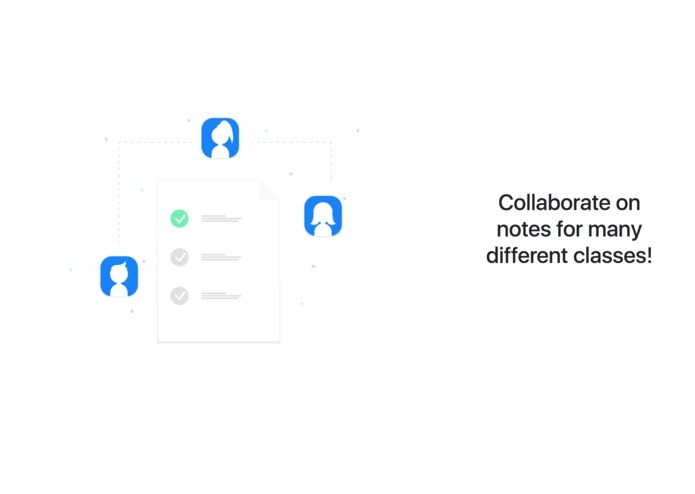 This is how we came up with the idea of an app that lets you collaborate with other students and compare notes. We wish we came up with this idea when we were first years! 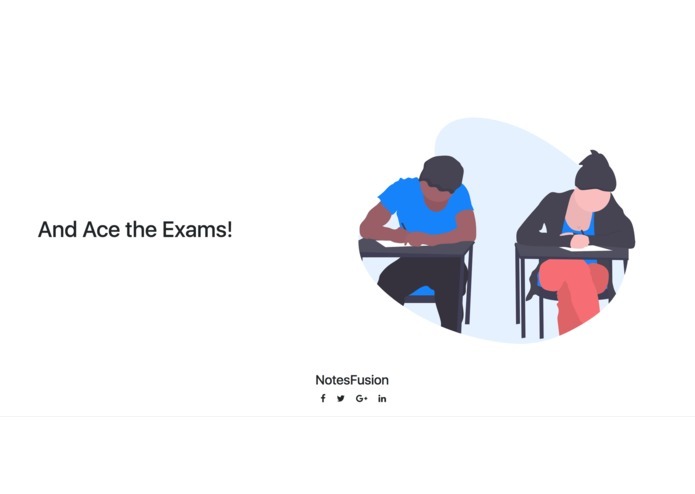 You can upload your lecture notes on the server and using some black magic, we will evaluate your notes next to other notes from that same subject and will produce a new, better version of your notes, allowing you to see what you have missed in class. All the front end is done through Node.js and HTML/CSS with Bootstrap. We used express.js for the server calls. All the API calls are done through Python and we are linking them through a node package called python-shell, which allows for executing python scripts in Node more easily. There were many points where we felt stuck, but it always felt like there was progress at all times. We first encountered problems when we had to get the uploaded text file(lecture note). Later we ran into some trouble when we had to get all the pathing right and the API calls. Of all the issues we ran into, we think the hardest one was when we tried to deploy our app on Azure. We had to insert our Google API key and there was a lot of trouble there. We felt great pride with how the project turned out, both back and front end. Apart from that, we believe that our teamwork was on point and we had a lot of fun having to go through all the challenges that the APIs threw at us. Everyone learned a new technology. Some learned web dev, some learned back-end such as Python and API handling. We feel that the experience that we gained is invaluable and we can't wait to get to the next Hackathon and show off what we have learned here. The end idea was to implement PDF reading of actual handwritten notes and we wanted to use the Microsoft Cognitive Services to identify handwriting and combine notes. 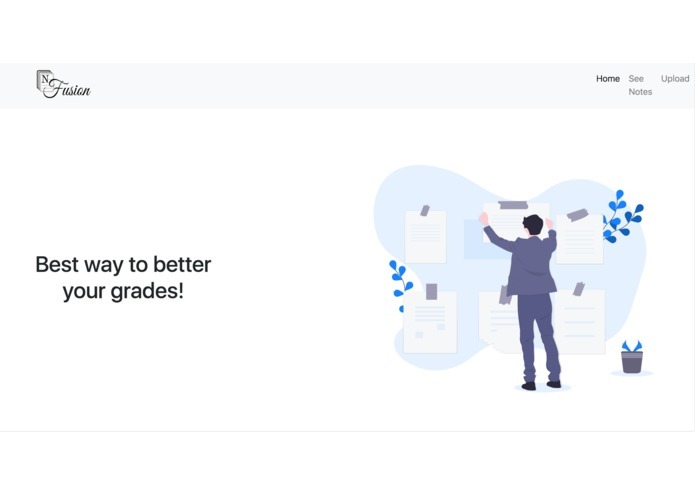 That way more formulae and math courses would also get their deserved place on our platform since you can't always embed formulas and special characters in pure text files. We definitely have to structure our project better, since we were pressured on time and didn't pay enough attention to that. Also, there are a lot of bugs that need fixing, from the deployment to Azure to stuff like async/await code. I worked on the front end with JS. I contributed to the overall design using HTML/CSS. I also implemented the functionality that generates a .txt file to download. Helped utilise the APIs used.